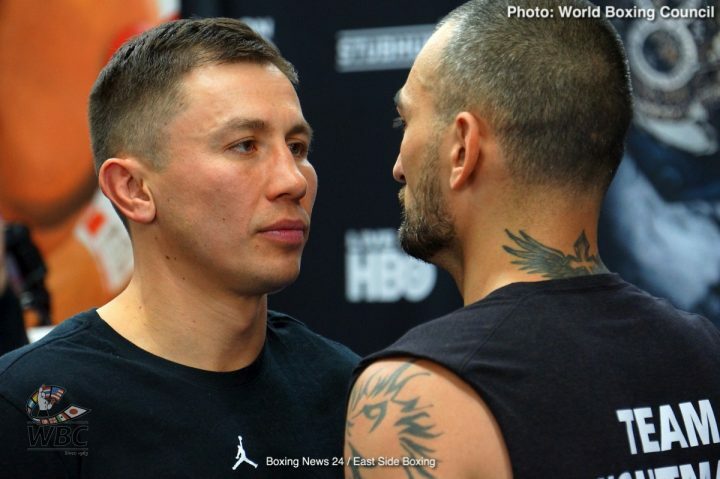 By Allan Fox: Gennady Golovkin is nearly a 2/1 favorite to defeat Saul Canelo Alvarez in their rematch on September 15 on HBO PPV from the T-Mobile Arena in Las Vegas, Nevada. Bovada’s odds-makers have Golovkin to win by the line -190 to Canelo at +155, according to Bovada. It’s thought by some boxing fans that Canelo will lose because he tested positive twice for clenbuterol. In other words, some of the fans believe that Canelo will be reluctant to use PEDs for the rematch because of the risk of testing positive again and winding up receiving a long suspension from the sport. The odds-makers are likely basing their decision of picking Golovkin to win the rematch because Canelo appeared to lose the first fight. The judges are going to need to be good at scoring the fight this time, because two of them turned in weird scores last September with one of them giving the win to Canelo 118-110 and the other scoring it a draw at 114-114. Canelo is the underdog for the fight because of how he performed in his contest with GGG last September in Las Vegas. Canelo ability to stand and fight Golovkin was hampered by his poor stamina, and his decision to bulk up like a bodybuilder in the weeks before the fight. Canelo went from being a slightly muscular fighter to a fighter with a bodybuilder physique. What the boxing fans found out quickly was Canelo didn’t possess the stamina to fight hard enough for him to win more than three of the rounds. Golovkin got the better of Canelo in 9 of the 12 rounds, but thanks to the peculiar scoring by two of the judges, Alvarez was given a 12 round draw. Last Wednesday, Golden Boy Promotions and Golovkin’s promoter Tom Loeffler were able to successfully put together the rematch with the help of executives with the MGM Grand in Las Vegas, Nevada. They came up with a timely decision to get the fight done.